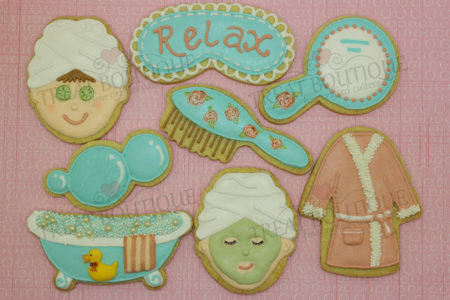 Our new “Spa” themed cookie cutters are perfect for pamper parties or for Mother’s Day. All of the cutters are very easy to decorate, even suitable for beginner decorators. These cutters pair well with the “Lipstick, Nailpolish and Perfume bottle set.” Relax, you can create your own edible pamper party platter too! Order now!